Valve announced late yesterday evening that Counter-Strike: Global Offensive will now become free to play, as well as a smaller iteration of the ever-popular battle royale game mode we’ve seen dominated by the likes of Fortnite and PUBG in the last year. The game’s move to a free to play model has been met with a mixed response. A portion of the community have vocally expressed concerns that the influx of free accounts could see cheating more prevalent and that the game will become riddled with hackers. Others have pointed out that Prime Status should prevent free accounts that are looking to hack from being matched with anyone taking the matchmaking seriously – with the Prime rules still aimed at providing a better experience for users. The blog post reads “Prime Status is an upgrade available to all CS:GO players. When you have Prime Status you are matched with other players who also have Prime Status”. It continues, “There are two ways to upgrade your account to Prime Status; reach Rank 21 by earning XP and adding an eligible phone number to your Steam account, or purchasing the Prime Status Upgrade through the in-game store. Those users who did not have Prime previously have had their status automatically updated to Prime, even if there’s no phone assigned to the account. Additionally, the developers have released “Danger Zone” which is described as a “fast-paced battle royale game mode built on CS:GO’s tactical gameplay where players use their wits, skill and resources to fight to the finish”. The game mode allows up to 18 players and can be played solo, in a duo or in a squad of three. This differs significantly from other battle royale titles which allow squads of four and typically have 100 people drop onto the island at any one point. Games typically last 10 minutes so are short in comparison to other BR titles, too. Esports Insider says: The battle royale is a fun mode but it’s clear that it’s unlikely to be an esports contender. It’s probably there mainly as a fun mode for players and something we could see on stage at big events in a showmatch capacity. 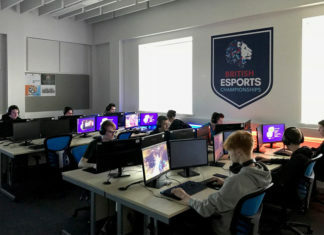 The bigger news here is that the game has become free-to-play which could drive more players to the game and, in the future, lead to increased interest in the esports world. CS is undoubtedly one of the best esports in the world and here’s to many more years of it on top.